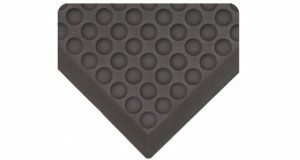 Diamond-Plate surface helps prevent slips and falls and utilises Nitricell sponge material for improved comfort and safety. Rejuvenator is a tough-skinned, ergonomic flooring surface that helps your team stand stronger, longer. 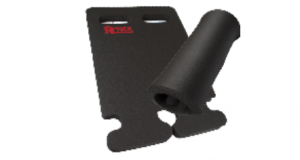 Its super-resilient urethane foam delivers a slight spring in every step to reduce stress on your team’s legs, feet and lower backs while the thick outer skin guards against wear. ErgoDeck with patented LockSafe technology is perfect for manufacturers seeking a modular, heavy-duty surface that can be unlocked and reconnected multiple times. 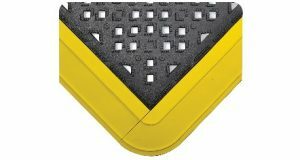 Available in solid and drainage configurations, ErgoDeck is versatile with optional GRITSHIELD and No-Slip Cleats which can ensure your team stays sure-footed in even the most challenging environments. Ideal for heavy cart and foot traffic. HD’s harder compound allows carts to roll with ease, while the box-spring design provides the structural support necessary for heavy loads, as well as impact absorption for health and comfort. 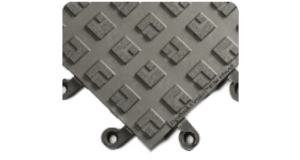 ErgoDeck Comfort spring-only design offers more compression underfoot for a rubberlike feel, but with the secure connections and customization that only ErgoDeck can deliver. F.I.T is a lightweight 12” x 12” interlocking tile system which features our patented LockSafe system. Simply snap together to form secure connections for dependable floors and surfaces. The top surface and underside of F.I.T. 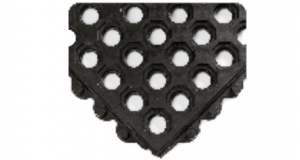 tiles are designed to allow rapid drainage of fluids. Assembled sections, large or small, can easily be rolled up or rolled away for maintenance or relocation. This makes F.I.T. 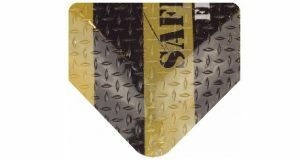 an ideal liner for mobile tool and storage bins that require frequent removal for maintenance. 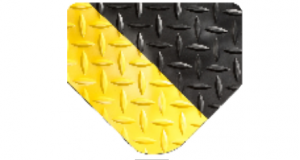 Tile-Top ergonomic matting is used in laboratories, pharmacies and medical environments. Medical professionals around the world trust Tile-Top’s smooth, marbleized surface because it’s easy to clean and provides relief for aching feet, knees and back.